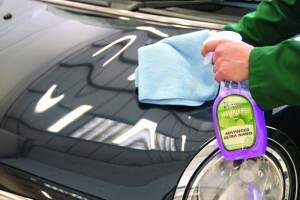 Pearl® Advanced Ultra Nano, quick and supremely effective environmentally-friendly waterless car wash and wax polish. 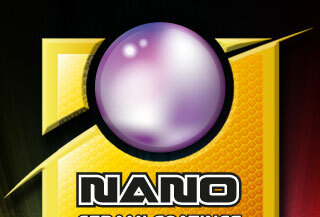 Advanced Ultra Nano contains only the finest raw materials including Carnauba Wax, UV screens, Protectors together with the very latest in Nano technology which penetrates even the smallest imperfections and fissures in vehicle body paint surfaces to seal and protect the base metal, delivering the ultimate in protective strength and durability with high lustre, lasting finish and superior hardness. 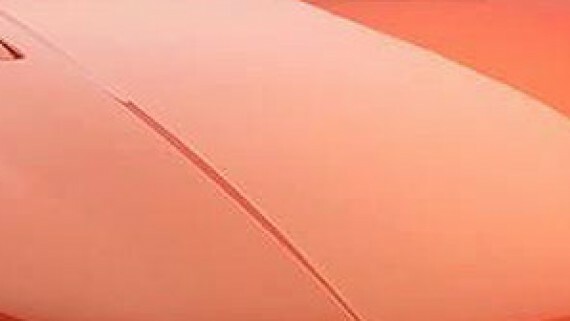 Found only in Brazil the Carnauba palm produces the world’s hardest natural wax and harnessing its protective strength and durability, Pearl® have combined this unique miracle of nature with latest scratch-free Nano technology to formulate a revolutionary, safe and easy to use, environmentally friendly waterless car wash, polish and Nano Shine Wax Advanced Ultra Nano. Simply lightly spray Advanced Ultra Nano ready to use formulation onto a folded Microfibre Cloth and onto the surface area to be cleaned. 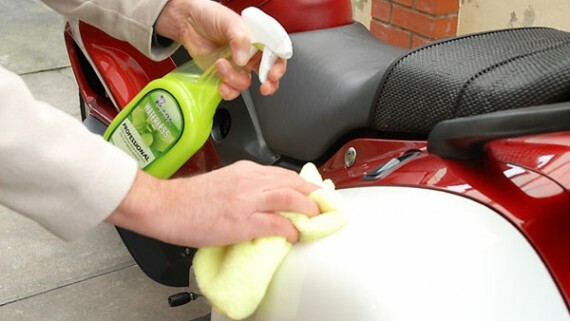 Gently wipe the surface with the pre-wetted Microfibre Cloth effortlessly lifting dirt, traffic film and oxidants into the Microfibre Cloth and then using a second Microfibre Cloth quickly buff the cleaned surface to impart a deep waxed gloss finish. 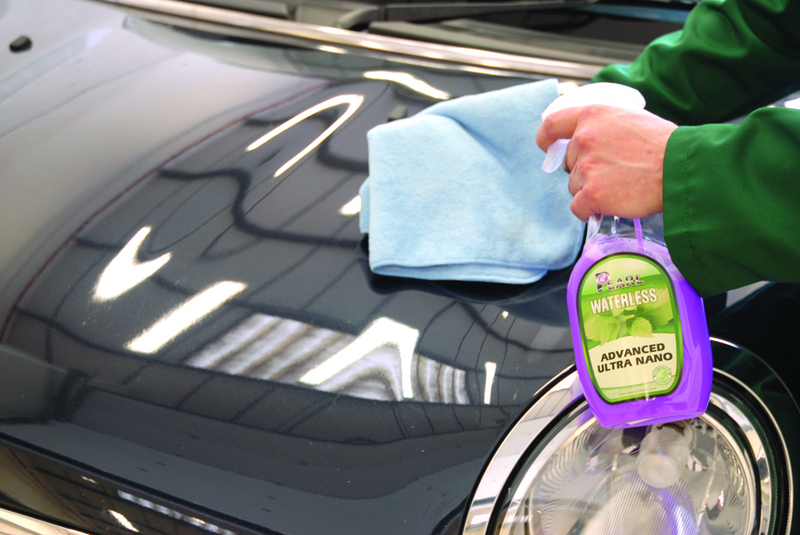 Cleans, seals, polishes and wax protects all exterior hard surfaces with average usage of only 100 – 150ml per car treatment. 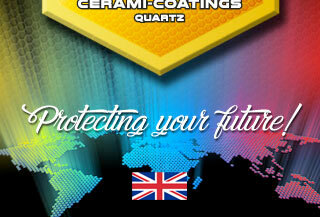 Totally non-hazardous formulation which is completely free from all abrasives, phosphates, bleach, solvent, petroleum, acids and any other harmful ingredients. 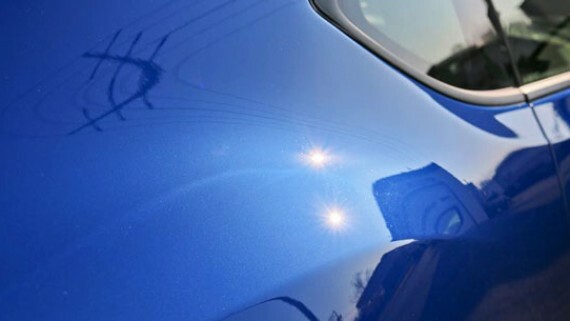 Removes traffic film, dirt, light oxidation, water spots and is the perfect product for enhancing all exterior surfaces including modern day glass coats and paint sealant treated surfaces, delivering an instant brilliant and deep mirror-wax protected shine which effortlessly repels water and prevents dirt build-up for weeks. Perfect for new and older vehicles – use as a premium weekly waterless maintenance/cleaning product ideal for re-cleans, sold units and showroom vehicles. Available in Ready to Use 750ml, 25L, 205L, 1000L and Super Nano Concentrated formulation in 25L, 205L and 1000L; by simply adding clean water 1 Litre makes 10 Litres of premium ready to use waterless car wash, polish and Nano Shine wax protection product.